We are Importing and supplying Galicha Floor Tile to our customers. These tiles are perfect to be used for decor needs. 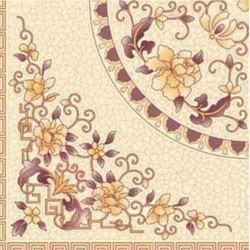 Used to form wall and floor coverings, the introduced range is durability and moisture resistant. Available in plenty of designs, these tiles can be purchased at reasonable rates. Established in the year of 1980, we M. R. Carpets are a leading and prominent company of this domain engaged in manufacturing, wholesaling, trading, importing and supplying a wide range of finest quality Tiles and Flooring. Our product range encompasses best quality Carpet Tiles, Broadloom Carpets and Broadloom Carpets Cutpile. Offered products are designed by using high quality components in strict adherence to the set industry parameters. These products are admired by our patrons for their flawless finishing standards and high quality. To meet the varied demands of our wide patron base, we are manufacturing these offered products in many sizes and designs. Our clients can avail these products from us at leading market price. We import our products from Belgium, Dubai, Indonesia, China, Saudi Arabia and Turkey. To manufacture the offered products with following industry quality standard, we have a well-equipped infrastructure facility at our premise. We have installed all the modern machines at our facility to design the offered products in large quantity. Apart from this, we timely upgrade the machine installed in our production unit to cope up with already existing market tendencies. For the manufacturing and running all the business process in efficient way, we have a team of highly talented peoples. We trade our products under the brand name of Voxflor and Neo.